I didn’t make resolutions specifically this year, but I’ll admit my calendar is penciled in for the next six or seven months with various activities and expectations. Good things, of course – some work-related and many family-related. But a busy calendar already, nonetheless. Slight movement caught my eye on an old log next to the driveway, but a quick glance revealed nothing but a small twig moving in the breeze. I almost kept going, but then realized there was no breeze today. 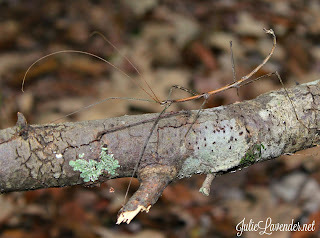 With a closer inspection, I realized I’d come across a walking stick. 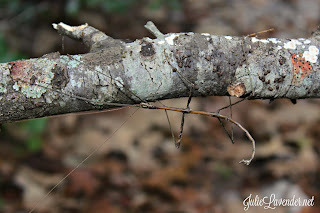 Unusual for one to be active this time of the year, but south-Georgia weather is enough to confuse meteorologist with PhD’s, so I wasn’t surprised that a walking stick was out walking today, just like me. 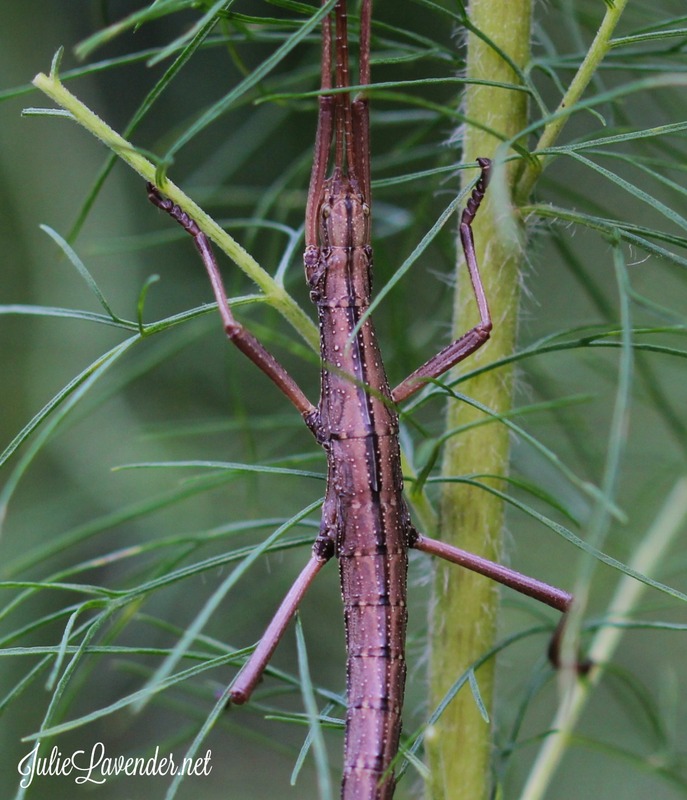 Resembling a twig with legs and antennae, a walking stick is related to grasshoppers and crickets. 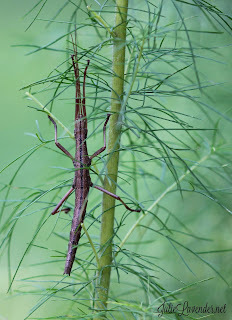 God gave the walking stick several ways to protect itself, but perhaps the most interesting is its camouflage abilities. With no movement, the walking stick looks like, well, a stick – an unappetizing twig. The walking stick can even mimic swaying movements like a stick moving with the wind. If a particularly wise predator, like a bird or cat, isn’t fooled and tries to catch it, the walking stick can detach a limb and scramble away. The missing limb later grows back. 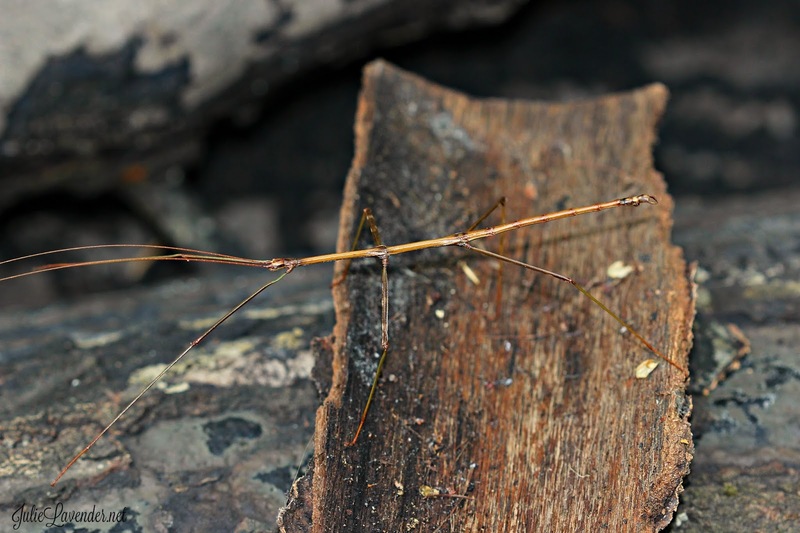 Some walking sticks shoot a foul-smelling spray from their abdomens that deters predators, too. 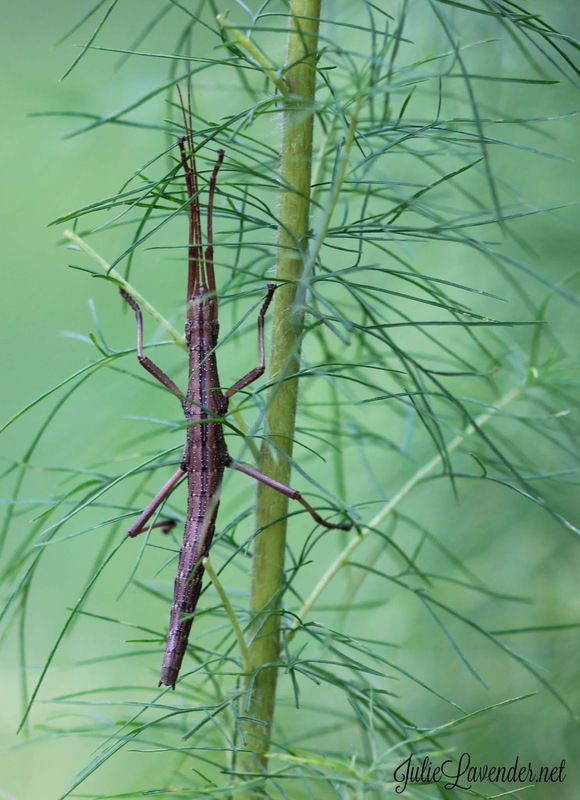 Walking sticks dine on leaves and vegetation and go undetected by most humans and many other creatures because of their expert camouflage capabilities. And to think that I almost missed God’s beauty today on my walk because I was pondering my calendar, rapidly filling up, and it’s not even mid-January! I think God had an important message for me today. If I’m not careful, I’ll get so busy with MY calendar that I’ll totally miss what GOD is doing this year. I need to remember to keep my eyes on God first and foremost in 2019. It may take some scrutiny on my part, closer looks and inspection when I get distracted by other thoughts and things around me, to witness a stick that walks. Or it may be so obvious, like the welcome sunshine after days of rain, that I can’t miss what God is doing. But either way – big or little "somethings" - I can’t wait to see what GOD has in store for my calendar in 2019! What about you? 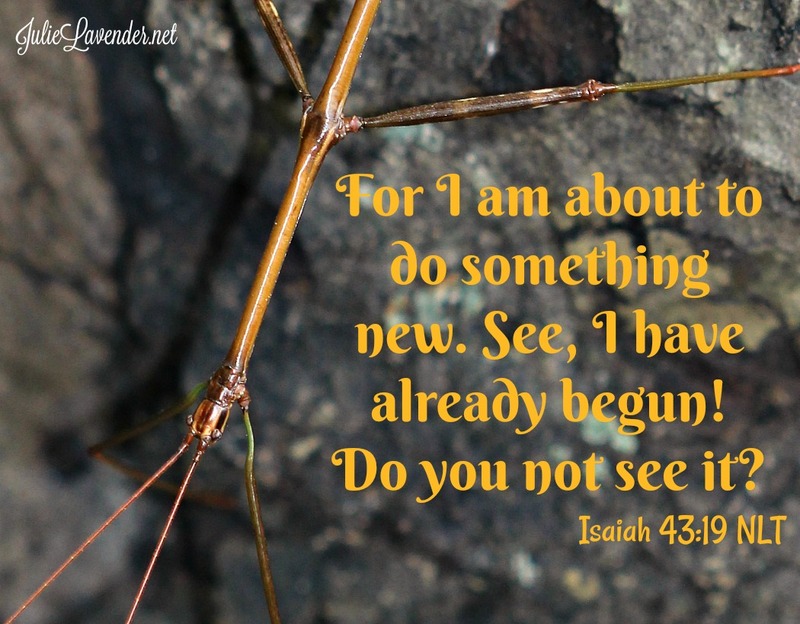 Are you watching for God to do something new in your life this year? 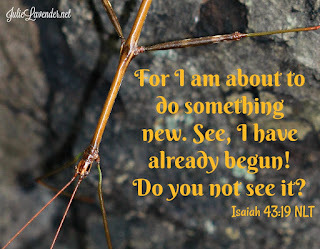 May I join you in prayer for that "new" thing? Or maybe an "old" thing that's been on your resolution list for a number of years? I'd be honored to pray for you in 2019! God's creation gives us beautiful glimpses of His glory and truth. Thank you for paying attention on your walk, for sharing with us what you found, and for reminding us to remain alert so we don't miss what God wants us to see this year. Happy New Year Julie! Thank you, Melanie! And Happy New Year to you also!! I can get caught up with "life" and miss God's wonders, but, having a biologist for a husband has taught me - for the most part - to slow down and appreciate God's beautiful creations!! Blessings! Julie, I've never seen a walking stick. How exciting! I truly look forward to reading your posts. I love the pictures and the lessons God teaches you through nature. Beckie, you've made my day (and it's started out not on my side, from trouble at the post office with a label, to my dogs not wanting to cooperate before a trip to the groomers!!!) Funny how such kind and encouraging words can COMPLETELY turn around a mood!! Your words were a soothing balm to me, and I appreciate them so much!! 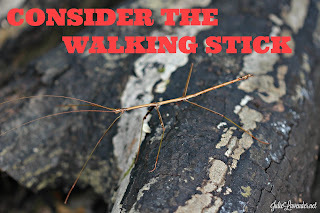 Walking sticks are fascinating!! 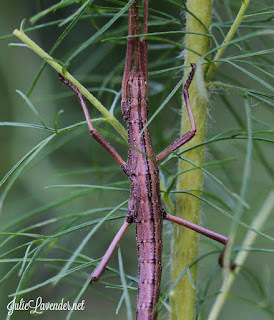 God's creativity just blows me away - and I like to imagine what He might have said or thought when He created some of His masterpieces - like this stick that has legs and antennae! "Watch this one - this will really amuse the humans!" What a great reminder for us all to live in the moment and be mindful of God working every second of every day. Yes, K.A. Wypych!! God is working every second, whether I'm "paying attention" or not!!! But, it sure is more fun and glorious when I'm actually paying attention to what He is doing around me!!! Thanks for the comment! Julie, I continue to be amazed by the beautiful lessons you share from nature. 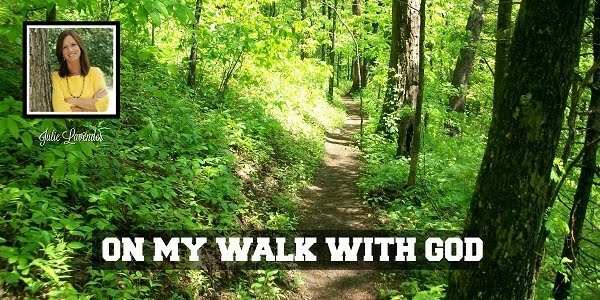 God teaches us through so much through His creation--if we'll just look and listen. Your message really blessed me today, especially the scripture from Isaiah. Like you, I've filled my calendar--too full. Thanks for the loving reminder to stop, look, and listen at what God has in store for me. Thank you, Katherine, for your always-sweet words! I pray that your New Year is going well so far! Yes, my calendar is filing up, albeit good things like writing conferences that I hope to get to see you at one of them, but yet, if I'm not careful, I'll think I'm "doing these things for God" and yet I'll totally miss what HE is doing! Here's to hoping and being watchful for beautiful things God has in store for all of us during 2019! Thanks for the reminder to look out for what God is doing around me instead of focusing so much on my schedule. I can definitely get so busy I miss out on a lot. Guilty as charged for me, Joanna!! I feel like there's good reason for the saying of yesteryear about missing the proverbial forest for the trees, right? Thank you for reading and commenting, and, it's a daily struggle for me to remember to pay attention to what God is doing and not just what I think I need to be doing!!! Blessings!